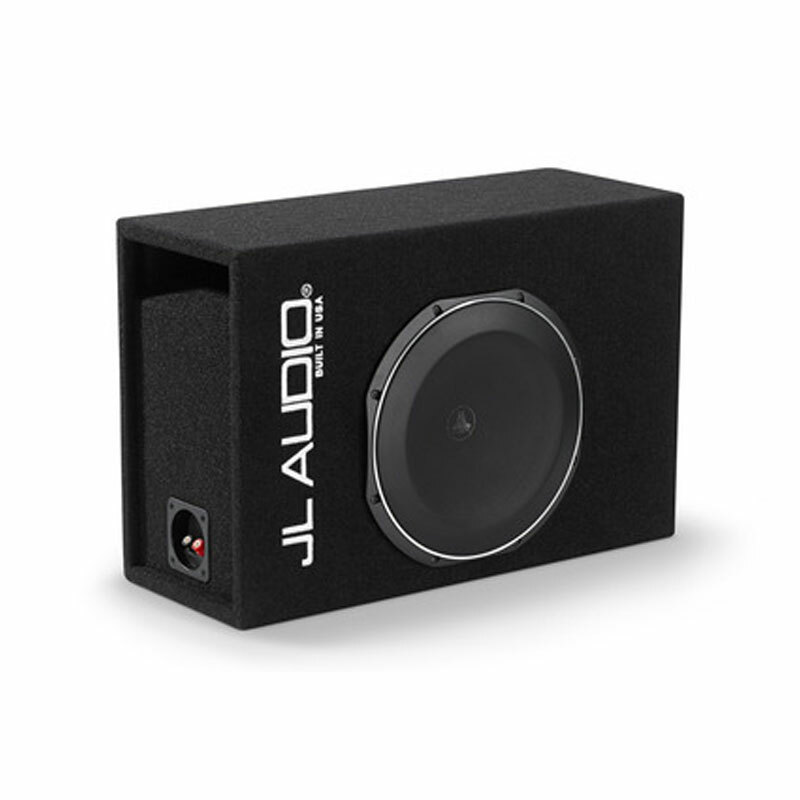 Enclosed Subwoofer System with Single 12TW1-2 Subwoofer Driver, Black Carpet (300 W, 2 Ω) - Ported Enclosure This incredible MicroSub™ subwoofer system delivers the kind of output and extension that is normally possible with only much larger systems. The key to its performance lies in the precise tuning of its 12TW1 subwoofer driver into an efficient slot-ported design. Extensive interior bracing permits the use of thinner wall material that maximizes the enclosure's internal volume relative to its exterior volume. The port wraps around two walls of the enclosure to produce the necessary low tuning frequency that ensures excellent extension and response smoothness.